Use Dr. Brown's Microwave Steam Sterilizer Bags to quickly and effectively sterilizes parts from Dr. Brown's baby bottles, eliminating 99.9% of most household bacteria and germs. 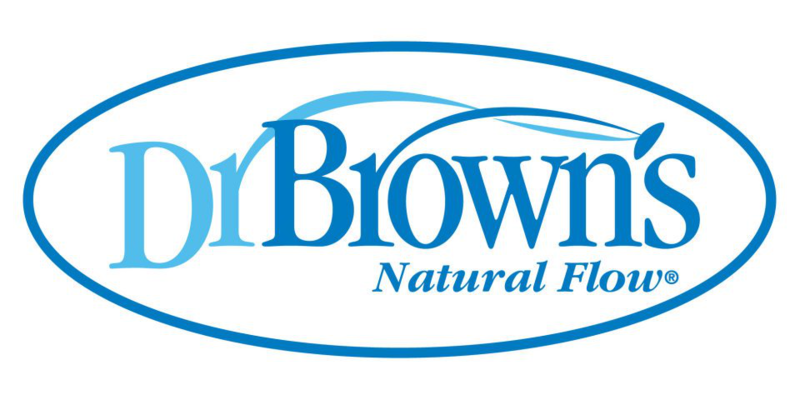 The bags are designed to fit all Dr. Brown's baby bottles and parts. 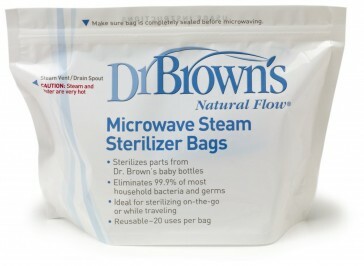 Includes five sterilizer bags, and each bag is reusable up to 20 times. 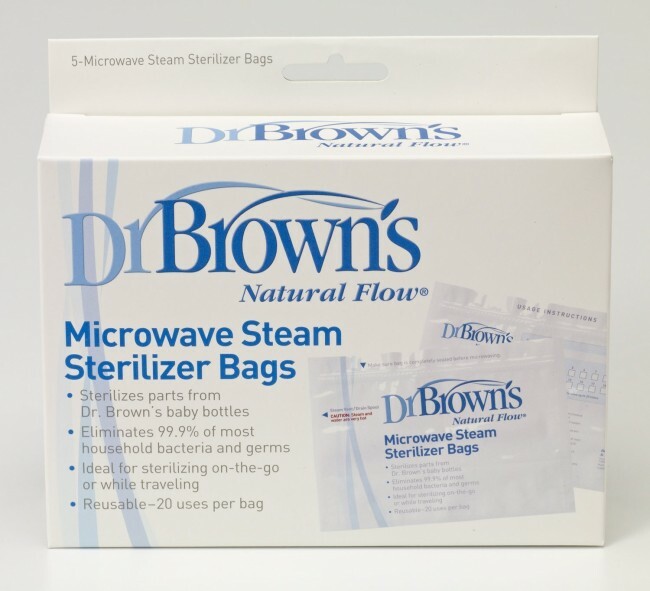 Use Dr. Brown's Microwave Steam Sterilizer Bags to quickly and effectively sterilizes parts from Dr. Brown's baby bottles, eliminating 99.9% of most household bacteria and germs. The bags are designed to fit all Dr. Brown's baby bottles and parts. 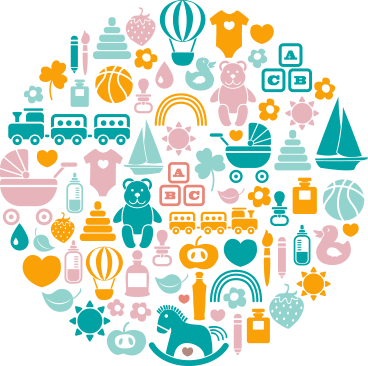 They are easy to use and ideal for traveling. Just put them in the microwave, add water and in less than two minutes, you're done! 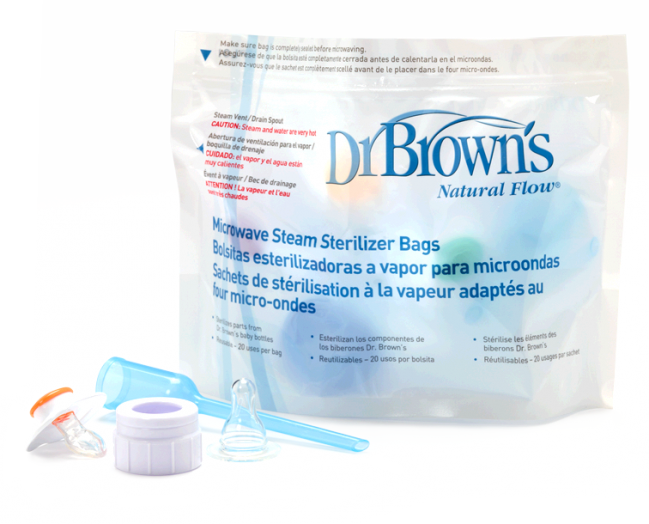 Includes five sterilizer bags, and each bag is reusable up to 20 times.